Since inception, we have been offering used array of Knife Grinder to varied industries for maximum performance and efficacy. The range comes in excellent conditions with no wear and tear for providing the best services to the clients. 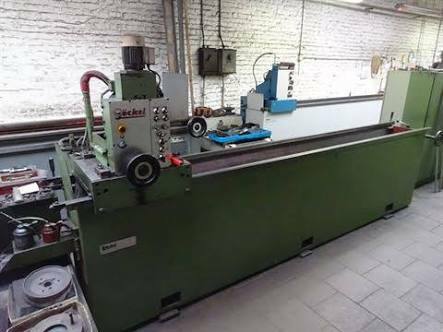 Our whole collection of grinders, including Gockel Knife Grinding Machine is available with different functions done by varied spares and parts available with the machine. We have been offering matchless range with no abrasion to provide the clients with complete satisfaction. Our very sturdy and strong range of grinder is featured with change out tool arm attachments for allowing swapping tool attachments in no time. The range is available with powerful motor for high speed and efficacy for meeting the bulk needs of the clients. We have been offering the collection with no maintenance features having long lasting life and high durability. The array is packed in tampered proof packaging to ensure safe transit.